Is anyone else crazy busy these days?! I have tons of recent projects that I’m so excited to share, including my brother’s upcoming wedding, new stationery for the shop, and culinary adventures with our grapes and zucchinis! But since they aren’t quite ready for posting, I thought I’d share a throwback project. This artwork hung over the sofa in our first apartment. It was an easy and inexpensive way to update a huge frame that originally held a palm tree print (in the store) and later held vertical strips of fabric (in Greg’s previous apartment). 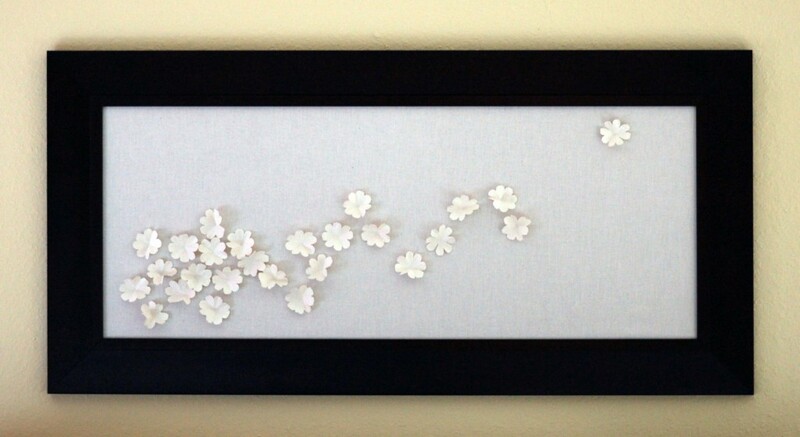 To switch it up, I simply covered the frame backing with linen fabric and affixed paper flowers with school glue! For more details on making the flowers, see our Christmas card tutorial. You don’t even have to double the flowers like I did for the Christmas cards. Just follow steps 1-6. 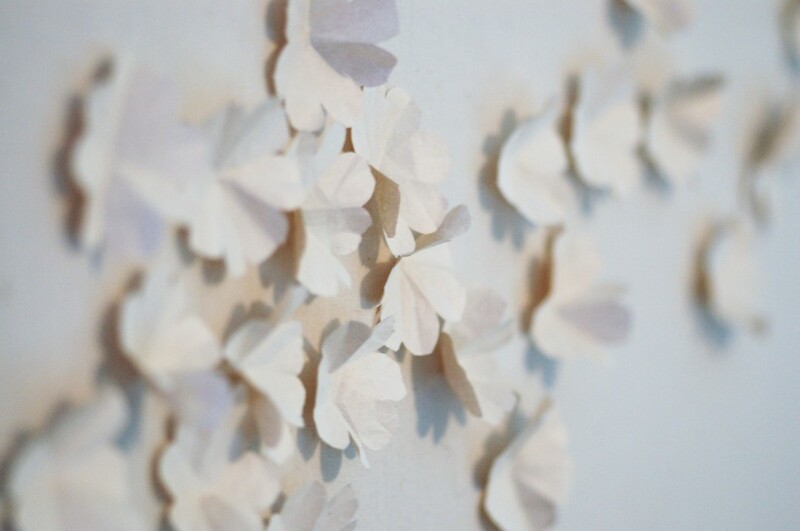 I love the airy, three-dimensional quality the flowers have! The piece is also neutral and understated enough that it works well in many spaces — I could hang it in any of our current rooms but the kitchen!